The library subscribes to many collections of e-books that you can access by searching in the PCC Library search box. If you're looking just for e-books, on the results page, check the "eBooks" box on the left-hand side of the page in the "Format" section and then click the "Apply Filters" button. 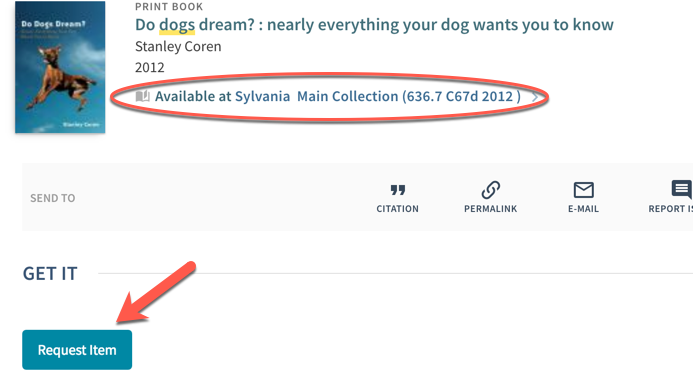 An e-book will say Online Access underneath the title information. To access it, click that Online Access link and it should take you straight to the e-book. Enter a search in the PCC Library search box. If the book you want has a linked message starting with Available at..., and the book is available on your home campus, write down the location and call number. 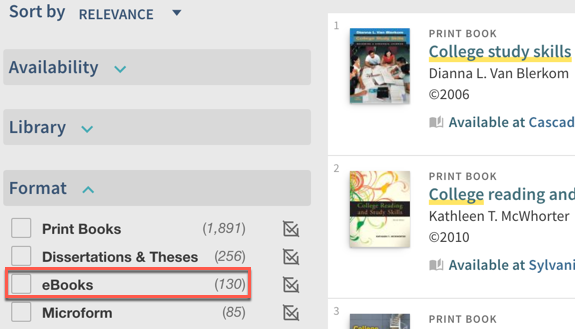 If the book is available from another campus, click on the "Request item" button in the "Get It" section, (NOTE: You will need to login with your MyPCC username and password after clicking the blue "Sign in" button to see the "Request item" button), and specify the campus to which you'd like the book to be sent. If the book is not available from PCC, you can order it from Summit using the "Request from another Summit library (about 5 days)" button (located in the "Get It" section); and if not available from Summit, request it through Interlibrary Loan. 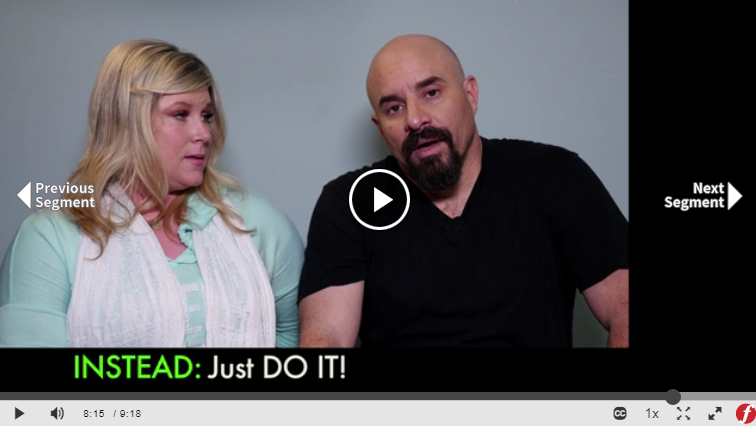 If we don't have a book, chances are we can get it for you! When you find an item with a Check holdings message that means the book is not in our collection or is checked out. You may be able to request the book from a library in our region. 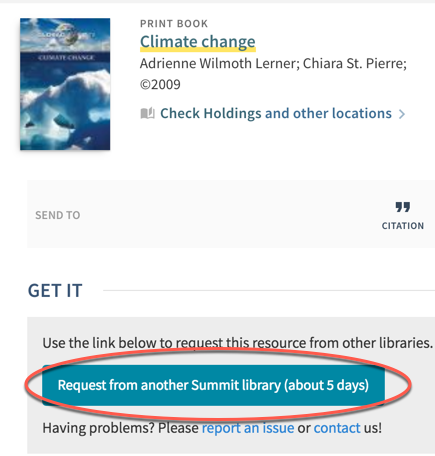 If you don't see the "Request from another Summit library (about 5 days)" link button, you will need to log in with your MyPCC username and password after you click the blue "Sign in" button. Items requested through Summit can be delivered to any PCC Library at no cost for pick-up in 2-5 days. An email to your MyPCC account will notify you when your item is ready for pick up. PCC students and staff can visit any Summit library and borrow items directly with your PCC photo ID. Return your borrowed items to any PCC library.